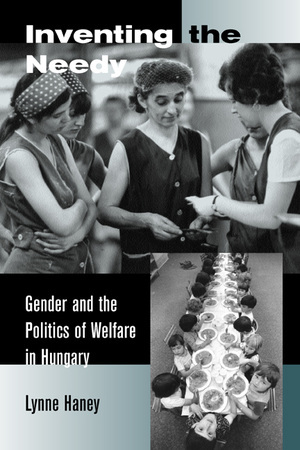 Inventing the Needy offers a powerful, innovative analysis of welfare policies and practices in Hungary from 1948 to the last decade of the twentieth century. Using a compelling mix of archival, interview, and ethnographic data, Lynne Haney shows that three distinct welfare regimes succeeded one another during that period and that they were based on divergent conceptions of need. The welfare society of 1948-1968 targeted social institutions, the maternalist welfare state of 1968-1985 targeted social groups, and the liberal welfare state of 1985-1996 targeted impoverished individuals. Because they reflected contrasting conceptions of gender and of state-recognized identities, these three regimes resulted in dramatically different lived experiences of welfare. Haney's approach bridges the gaps in scholarship that frequently separate past and present, ideology and reality, and state policies and local practices. A wealth of case histories gleaned from the archives of welfare institutions brings to life the interactions between caseworkers and clients and the ways they changed over time. In one of her most provocative findings, Haney argues that female clients' ability to use the state to protect themselves in everyday life diminished over the fifty-year period. As the welfare system moved away from linking entitlement to clients' social contributions and toward their material deprivation, the welfare system, and those associated with it, became increasingly stigmatized and pathologized. With its focus on shifting inventions of the needy, this broad historical ethnography brings new insights to the study of welfare state theory and politics. Lynne Haney is Assistant Professor of Sociology at New York University.